Tina has spent her career at D&H, when she started as an inside territory sales representative in 1992. She moved on to the purchasing department in 1993 where she held a role as Assistant Purchasing Product Manager. In 1995 she was promoted to Product Manager and has been instrumental in building strategic vendor relationships, helping to launch categories and make them a successful area for D&H in both the SMB and retail markets. She was named Director of Purchasing at D&H in 2002, Senior Director in 2008, and Executive Director in 2013. Tina has managed a buying and business development staff of 20 + focused on the company's branded systems, networking, and components business. She and her team have worked closely with major vendors including Cisco, HP, Lenovo, Intel, Acer, ASUS, and many others. 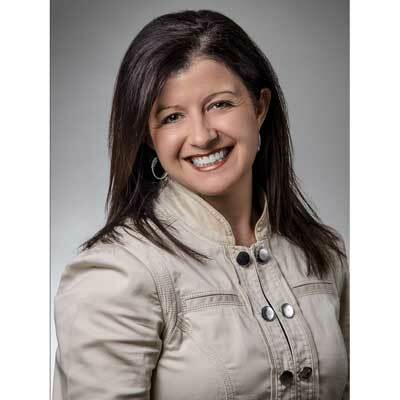 She is integral in maintaining, growing, and building strong vendor relations for D&H, while focusing on new and unique vendor opportunities and initiatives. Tina has overseen the establishment of D&H's new "Vendor Management Team," launched in 2017. This group of vendor-specific personnel maintains relationships with D&H's manufacturer partners on a daily basis. The team works to integrate vendor programs and initiatives throughout the D&H organization, to provide the most superior support possible to its VAR community. Tina's group determines what products and vendors fit the needs of resellers, addressing their requirements in real-world environments. This new team works in coordination with the VAR sales organization to determine what vendors and product lines fulfill the initiatives of the sales team, to drive those initiatives in the marketplace, developing opportunities for D&H's customers. The Vendor Management Team oversees categories including servers, security storage, power solutions, printers, monitors and components. Tina also manages vendor participation for D&H's engagement initiatives. Her team coordinates the vendor-based content, speakers, and other material for D&H's VAR Track reseller engagement program, and the K-12 Advisory Board program. The Vendor Management Team will work to empower channel resellers with the solutions that will make them more competitive and successful, allowing them to grow their practices and resolve issues for their end customers. This includes helping resellers migrate to hosted offerings and cloud based services, and addressing challenges such as mobility, cyber security, and hybrid infrastructures in SMB environments. Tina earned an Intel Hall of Fame Award in 2017. She was named to the 2018 CRN Channel Chiefs list. She was also recently named one of Dealerscope's "Power Women in Consumer Electronics." In the past, Tina has appeared on the CRN "Women of the Channel" list and the "People You Don't Know But Should" list. I've long been an admirer of Wendy Bahr, who is senior vice president of Cisco's Global Partner Organization. She remains a favorite of all the women I've come across in this very male dominant industry. My advice to my younger self: Always be open-minded to the idea of learning new things, even if you initially think you have no interest. I don't necessarily consider this a new skill, but I'd love to master the art of public speaking. As women, this is an area from which we all can benefit, to make voices a greater part of any ongoing workplace dialog. We should all continue to strive to be more comfortable and confident in this discipline. I'm impressed with Susan Packard's "New Rules of the Game: 10 Strategies for Women in the Workplace." It explores how men typically succeed and shows how women can apply the same principles toward their own careers. As a co-founder of HGTV, she teaches us about "Gamesmanship," providing techniques through which women can achieve their goals.